Stone crushing is an important step in the whole crushing process, and the cost of crusher covers high proportion in the stone crushing equipments. 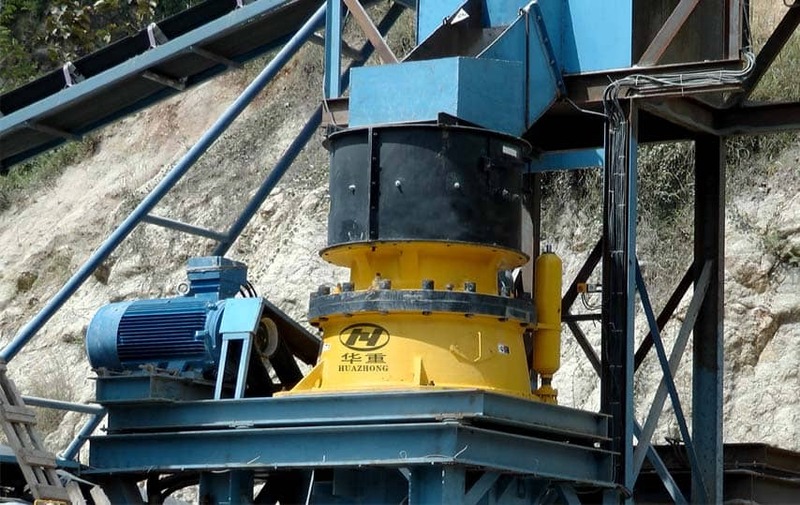 In order to guarantee the machine and production index, the operator should inspect the crusher, its ancillary facilities, working index, and the finished products quality. 1. Inspection of crusher and its ancillary facilities. a. Check the bolts loose condition; check the sand spoon abrasion. b. Check the oil pressure, it should be within 0.15-0.2Mpa; check the oil amount and temperature, the oil temperature should not exceed 30℃; check the oil distribution of main journal, it is evenly or not; check the oil viscosity and cleanliness. c. Check the motor temperature, and the temperature rise cannot exceed the limited value. d. Check the blade of spiral classifier, whether it works stable or not; check whether the pressure of hydrocyclones is stable or not, whether it is leaked or blocked. 2. Inspection of crusher load. The load of crusher unit contains feeding amount and return amount. To guarantee the stable and uniform load is the primary factor to achieve the good crushing effect. The feeding amount should be uniform and stable, and regularly check the feeding amount. At the same time, check the sand return and water supplement condition, making sure the inlet and outlet of feeding amount, sand return and overflow are balance. 3. Inspection of graded products quality. The finished products quality mainly refer to the concentration and fineness of grading overflow. These two indexes directly influence the subsequent separation work. In a word, the operator should check, adjust and observe the machine condition to make sure the crusher in the optimal working condition to achieve the good crushing and grinding effect.